Before photo showing a water loss of a commercial bank/multi-tenant building. Approximate square footage affected was 20,000. Water was extracted, dehumidifiers and air movers were placed throughout for 3 days of drying. Walking into your home after vacation and seeing damage like this can be devastating. No need to worry we can get your house back to its original state in no time! This is the aftermath of a small spark catching the insulation on fire in a home in New Berlin. Even the smallest contained fire can cause a lot of smoke and soot damage in a short amount of time. This is a beautiful home in River Hills where the customer was gone for a weekend and came back to a completely devastated basement. 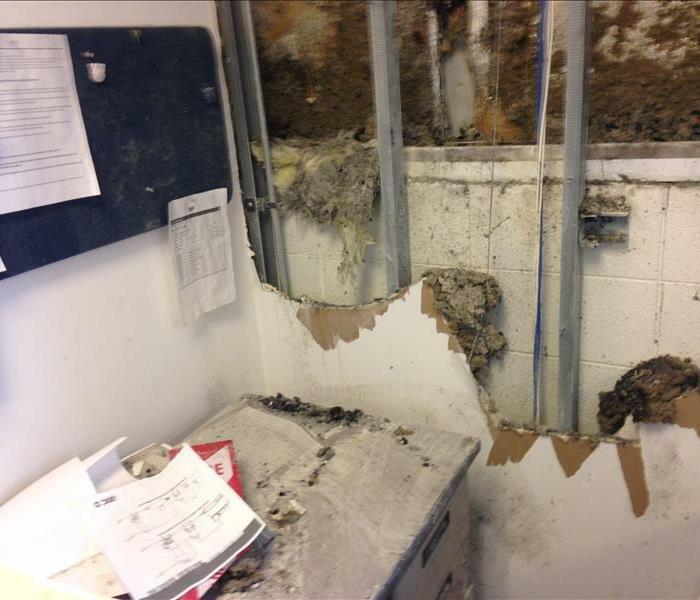 A pipe had burst completely saturating the ceiling and a number of walls. Charcoal Grill in Waukesha had a sprinkler system freeze and burst affecting almost the entire restaurant. Our crew arrived within the hour and began the cleaning, drying and demo work. No job is too big for SERVPRO North Kenosha! The carpet may look dry with the naked eye, but using our infrared camera we can see that it is still wet underneath. Using the latest technology we can prevent any further damage or mold growth. This photo shows our equipment set up after a water main break at the new Racine Dental building. Unfortunately during the construction process is when things can sometimes go wrong. Leave it to SERVPRO North Kenosha to come to the rescue! Mold can begin to grow into a colony within 48-72 hours after moisture is introduced. 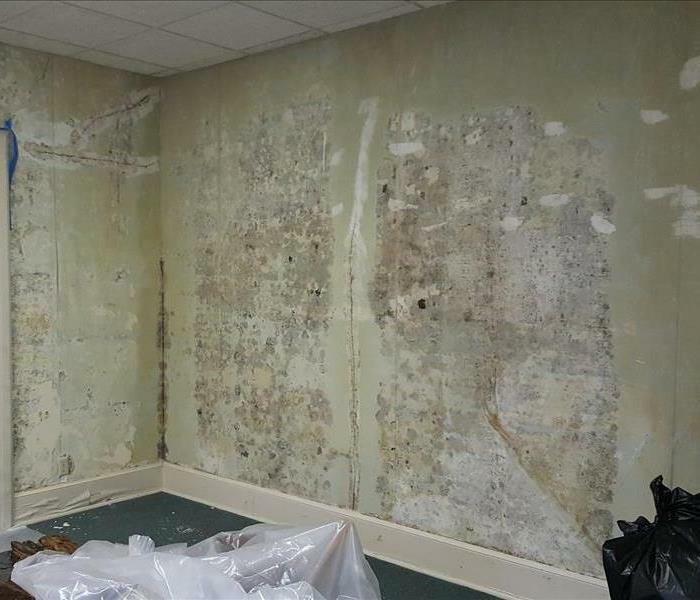 Call us to get rid of mold growth in your residence or business and ensure it is mold free. SERVPRO North Kenosha specializes in residential jobs as well as being a trusted restoration company for commercial jobs; big or small. Here we were called in for a water loss affecting 2 floors of the hotel. Sprinkler pipe burst in this assisted living facility. Ruined a few of their rooms but we were on it getting their facility back to working order in no timer. This is the aftermath of another commercial fire job we did in Milwaukee. Soot damage carried through the entire place and was caked on everywhere. The cleaning of such a project may seem overwhelming, but never a job to big for us to handle. Do not let mold takeover your house or business. 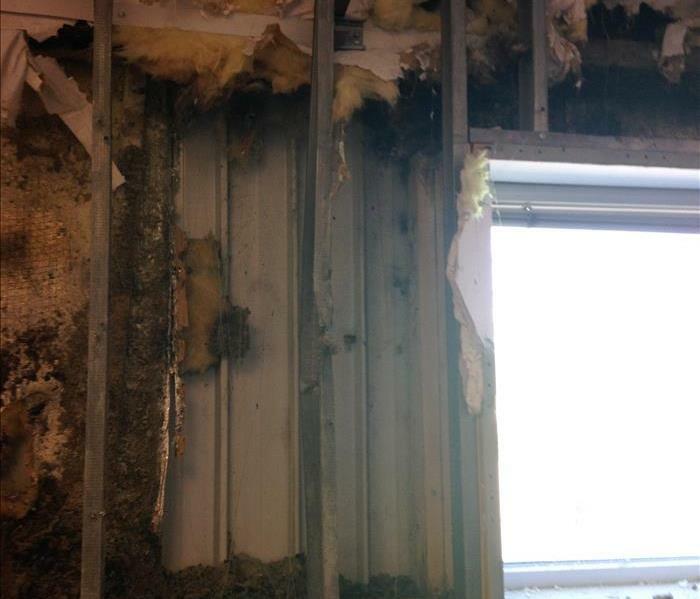 We were able to successfully get rid of all of this mold for a local church here in Kenosha. This is one of the worst mold situations we have ever come across. Basement has been growing mold for months and had many different strains of mold growing including black mold, but with our years of experience this basement is no problem at all.